The wasp, Trissolcus japonicus, has scientists feeling hopeful, said Chuck Ingels, UC Cooperative Extension advisor in Sacramento County and one of the 10 authors of the article. 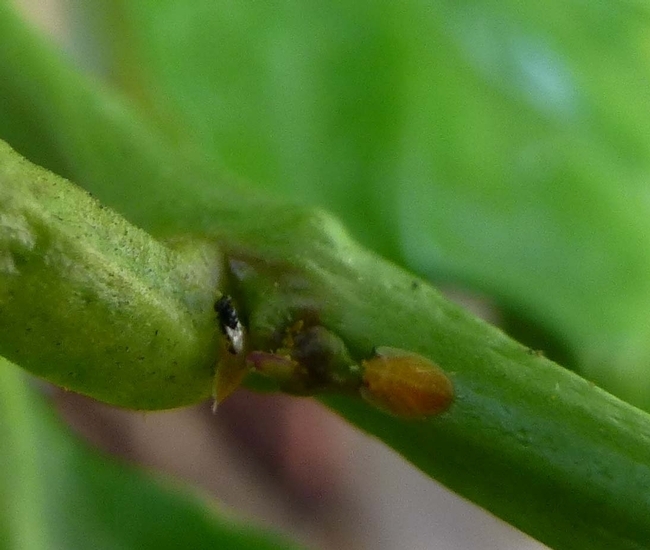 Ingels and a team of UC and California Department of Food and Agriculture scientists have been closely monitoring BMSB since large populations were found in downtown Sacramento in 2013. At the moment, BMSB has not caused significant damage to agricultural crops in California, but UC scientists want to be ready with solutions should it migrate into farms. BMSB – a native of China, Korea, Japan and Taiwan – made its way to the East Coast of the U.S. in the 1990s. By 2010, it caused millions of dollars in crop damages in apples, peaches and vegetables. The pest was first detected in California in 2002. It is now in urban communities in Siskiyou, Butte, Sutter, Yolo, Sacramento, San Joaquin, Stanislaus, Santa Clara and Los Angeles counties. In urban areas, the pest is a nuisance. Bugs aggregate in late summer on walls and trees, and then seek refuge in the winter inside homes, garages and other buildings. Massive aggregations of BMSB are a disturbing sight and emit a pungent cilantro-like odor. In restaurants, BMSB can alarm patrons when the insects are mistaken for cockroaches, potentially hurting the eatery's bottom line. But BMSB's potential for damage in commercial agricultural crops portends a much greater economic threat. BMSB's host plant range of 170 species includes many valuable fruit, nut, vegetable and ornamental crops. In August and September of 2015, BMSB was found feeding on citrus, persimmons and apples in a Sacramento community garden. In July 2015, BMSB was found for the first time in traps placed close to citrus, kiwi and avocados in Los Angeles County backyards. 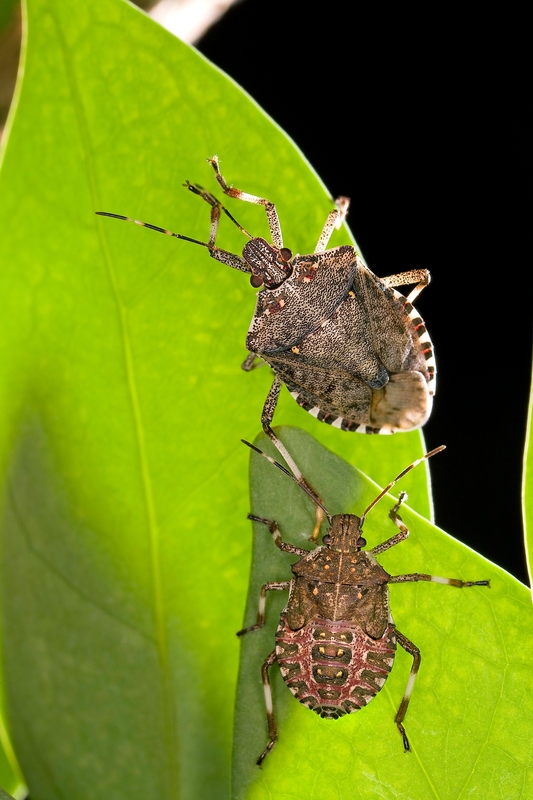 Already, several “generalist predators” have been observed feeding on BMSB – such as lacewings, mantids, earwigs, lady beetles, assassin bugs, pirate bugs, big-eyed bugs and spiders. Field research has also found that at least 12 North American species of stink bug egg parasites will lay eggs in BMSB egg masses. However, because the local species may not be enough to provide adequate levels of population suppression, the researchers are interested in T. japonicus, a natural enemy of BMSB in its home range in China. The wasp can help to control populations of BMSB by laying its own eggs inside BMSB eggs. 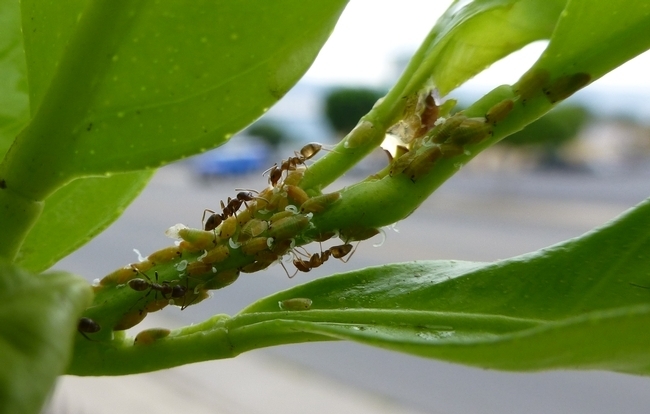 The researchers say finding and establishing a host-specific natural enemy may significantly increase control and prevent further economic problems. 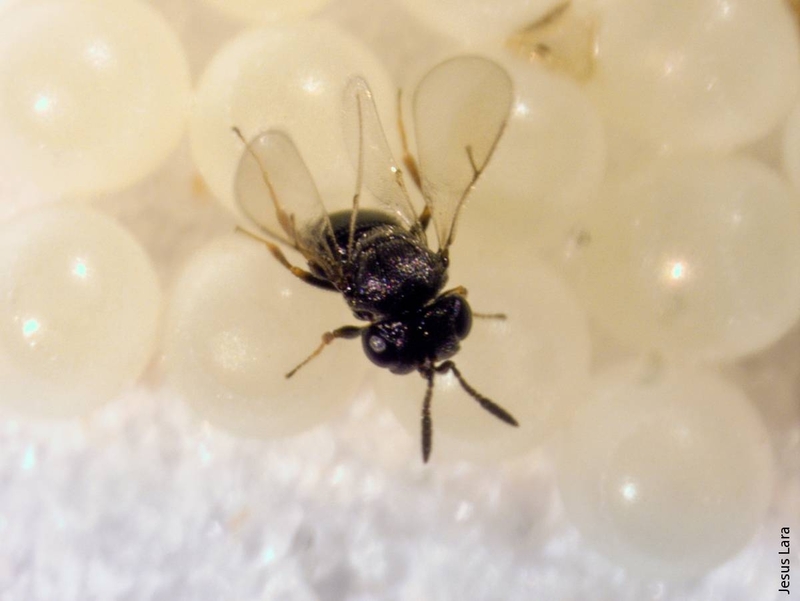 Without being introduced by authorities, T. japonicus have been found in Maryland, Virginia and Vancouver, Wash., presumably having been accidentally introduced via parasitized BMSB eggs from Asia. DNA analyses determined that the T. japonicus collected in the field did not originate from the populations in quarantine, indicating that there have been no accidental escapes from these secure facilities. The California research was funded with a grant from the CDFA Specialty Crop Block Grant Program, which was awarded to Charles Pickett, CDFA senior environmental scientist specializing in biological control, and Mark Hoddle, UC Cooperative Extension biological control specialist. Funding was also provided by the USDA Farm Bill, the California Pistachio Research Board, the Pear Pest Management Research Fund and the Consolidated Central Valley Table Grape Pest and Disease Control District.